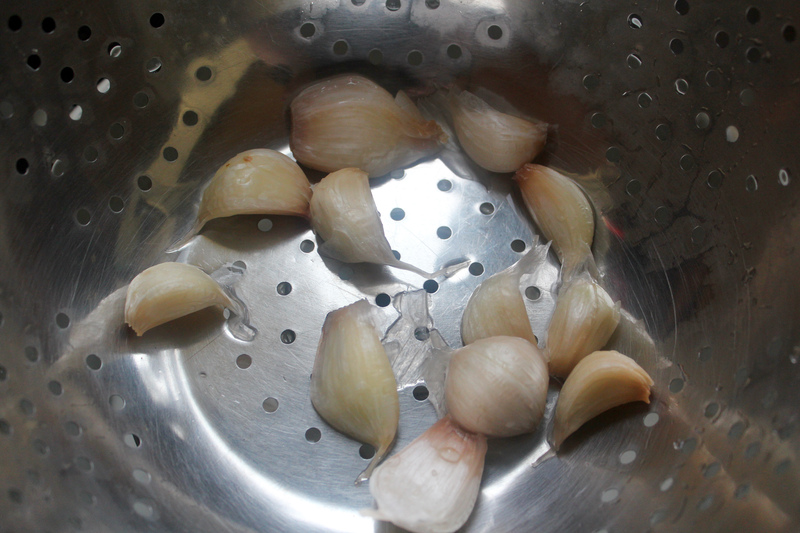 Drop garlic cloves in a pot of boiling water for 30 seconds. Drain and run under cold water, peel. Place garlic in a 3 quart pot with 2 quarts water, 3 Tablespoons of olive oil, salt, pepper, ground cloves, sage and thyme. Boil slowly for 30 minutes. 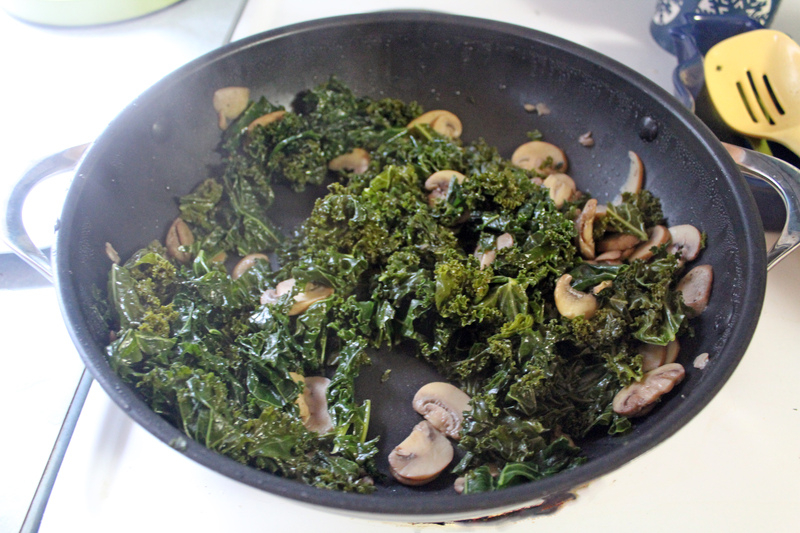 Meanwhile place 1 Tablespoon of Olive oil in a pan on medium heat and saute mushrooms for a few minutes, add kale and mix. Continue to cook until kale begins to wilt a bit. Remove from heat and set aside covered. In a soup tureen beat the egg yolks and whisk in remaining 3 tablespoons of olive oil drop by drop. Just before serving beat a ladleful of hot soup into egg yolk mixture. Slowly strain the remaining soup into mixture pressing the juice out of the garlic cloves. 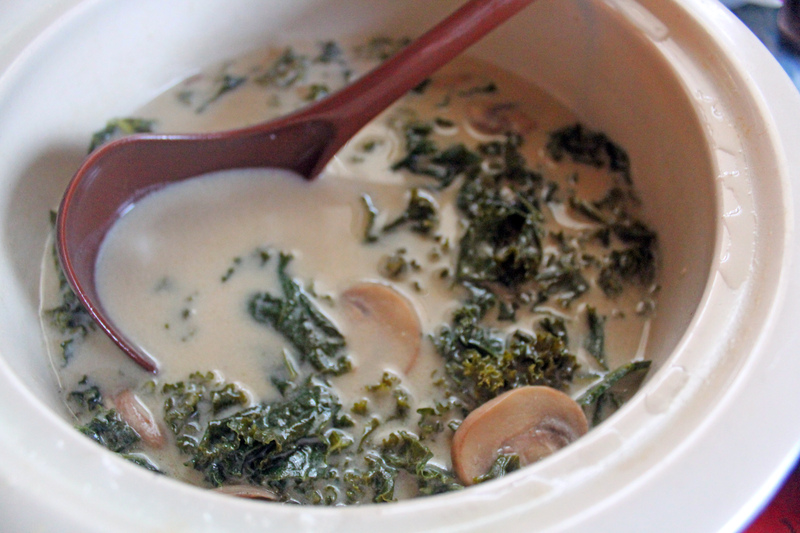 Stir in the mushroom and kale saute. Ladle into individual bowls and Enjoy! Looks quite delicious to me. 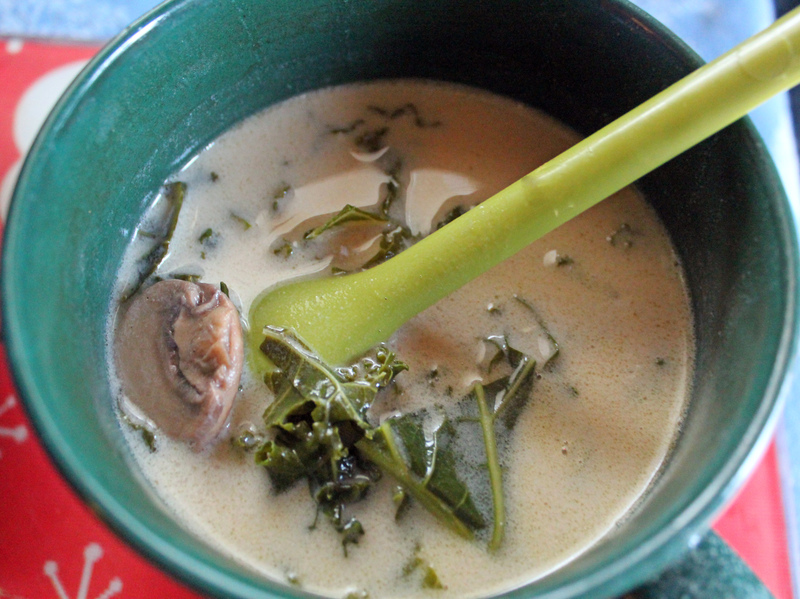 Thank you, it is a nice little soup that I have already made myself again! mmm delicious and nutritious! He doesn’t know what he’s missing out on! I tell him but he doesn’t listen. No bother, more for me!